The best home security systems these days tend to be wireless security camera systems. This review will be covering the best home security cameras currently on the market and going over the key differentiating factors for each. The best home security camera for your unique situation and needs may be different than our pick but you will almost certainly find a wireless security camera system to fit your need among these excellent contenders. The Arlo Pro 2 from Netgear is a new upgrade on their previous Arlo Pro which was a stellar product. While fairly expensive you do get 2 cameras included and excellent quality and performance. The 7 days of cloud storage and ability to capture video to a local storage device push this option to the top of the list. The Nest Cam Outdoor is a great product with one big caveat, it’s almost useless without a paid cloud subscription. If that sticking point isn’t an issue for you then it’s a great product. For the minimum subscription entry point of $10/mo you get 10 days of continuous video storage, intelligent alerts such as people detection, and the ability to set motion detection zones. 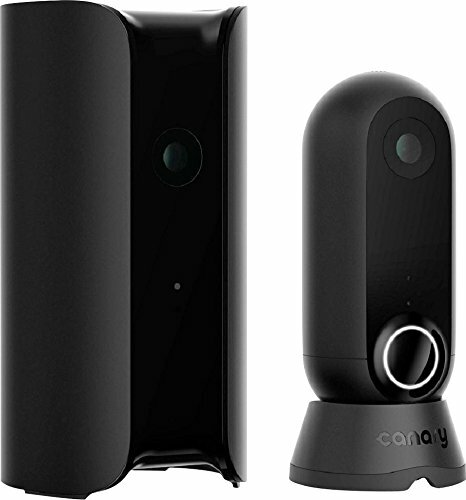 The Canary Flex is a sleek and versatile camera. It has a great rechargeable onboard battery. 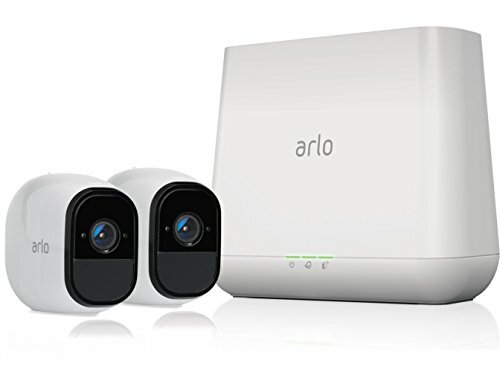 It’s not as powerful as the Arlo Pro 2’s 6 month life but is a respectable 2 months. 1 Day of free video clip cloud storage is on par with most but pales in comparison to the Arlo Pro 2’s 7 days. The Logitech Circle 2 boasts compatibility with Amazon Alexa, Google Assistant, and Apple HomeKit. It also includes a built in rechargeable battery that can last up to 3 months depending on usage. Person detection and motion zones unfortunately require the most advanced cloud storage package however you do get 31 days of storage with it. The Logitech Circle 2 is a respectable option, especially if you really need Apple HomeKit compatibility. 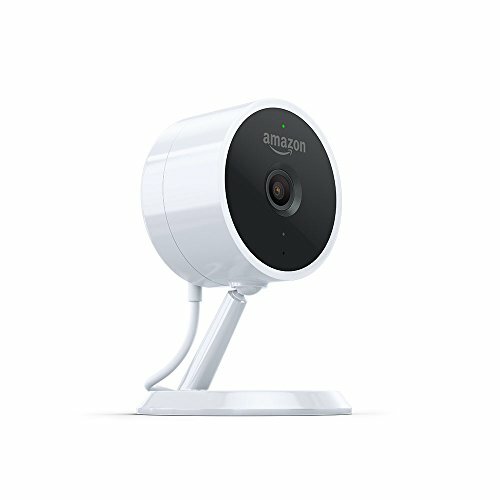 The Amazon Cloud Cam is the only indoor-only camera in this review. 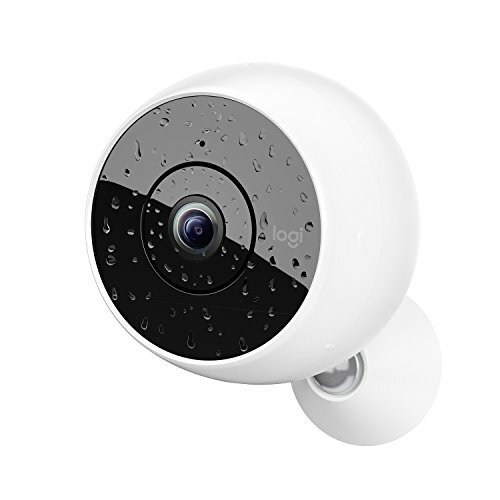 Like the Nest Cam Outdoor, it also doesn’t have a rechargeable battery included. This helps it come in at a very competitive price point. 24 hours of storage for up to 3 cameras is available for free. Upgraded cloud packages are required for motion detection zones and person detection. Which Security Camera is Best? It seems that everyone wants to make money from cloud subscriptions these days. Very few cameras offer local storage ability. Cloud storage has it’s benefits for sure, but at the cost of a monthly charge. This can be much easier to swallow than having to spend a couple hundred for a large drive and you don’t have to worry about backups. Your personal preferences and situations will dictate a lot. Motion detection and person detection can be great for triggering alerts. The ability to set a zone within the cameras field of view can help cut down on rogue alerts from trees, traffic, and other things that could trigger a false alert. If you won’t need these types of alerts you may be able to save some money. Most alerts will be triggered by motion detection of some kind. The primary way these alerts are triggered is via a smartphone app push notifications. Some manufacturers offer alerts via text message or email. Compatibility with Google Assistant, Amazon Alexa, or Apple HomeKit may be important to you. Most integrations with these will be somewhat limited so be sure to research how they integrate. Some manufacturers also offer compatibility with third party smart hubs for home automation purposes or with automation services like IFTTT. If this is important to you be sure and research the specific abilities it integrates. What is better, wired or wireless security cameras? This typically refers to data transfer via WiFi instead of ethernet cable or some other type of data cable. It can refer to power as well but eventually batteries will need to be charged so wired power is far more convenient unless you have a need where power wires are unavailable. Do Wireless security cameras need to be plugged in? Not necessarily, however wireless security cameras refers to it’s data connection and not usually its power connection. If you are looking for a truly wireless security camera solution the Netgear Arlo Pro 2 is the only way to go. It transmits data over WiFi and has a rechargeable battery capable of up to 6 months of life between charges. Not only that but it also can be paired with a solar panel to eliminated the need to recharge it. Google opted to not go with rechargeable batteries in their Nest Cam Outdoor and the benefit is an always on recording of the action in front of the camera. Cameras that depend on rechargeable batteries depend upon power saving techniques to extend the battery life. The primary way this is done is by not sending everything up to the cloud for storage and only doing so when an event is triggered. How do you power wireless security cameras? 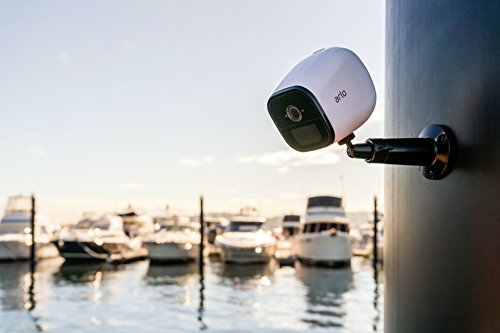 Typically wireless outdoor security cameras just plugged into an outlet because wireless refers to the data connection and not the power connection but some cameras offer true wireless abilities with a rechargeable internal battery. The downside of rechargeable batteries is that they have to be recharged. A solar panel can help keep the battery topped up. Where should I place home security cameras? Obviously this depends on your goals but in general you want to minimize false alerts if you’re taking advantage of motion detection or person detection. You’ll want to try to minimize background motion so aim your cameras toward static backgrounds whenever possible. Avoid trees and bushes that can sway in the wind or roads with traffic. The best wireless home security cameras will be able to set motion detection zones to help avoid false notifications by sectioning off parts of the viewable area that have unavoidable motion problems. How do security cameras see in the dark? Night vision is enabled through the use of infrared LEDs. We can’t see the light emitted because it’s outside the wavelength that our eyes can pick up but the camera can see it. Home security systems of old like those offered by companies such as ADT relied on motion sensors and sensors on windows and doors. If the alarm panel wasn’t reset within a specified period of time the police would be called. Surveillance systems can trigger an alert nearly as well as adding sensors to all your doors and windows. Either a notification to your phone, siren, or both can be triggered. Additionally integration with Google Assistant, Amazon Alexa, or Apple HomeKit can provide even more functionality by triggering other devices to perform actions. Home surveillance systems also give you the ability to see exactly what triggered the alert and allow you to decide how to respond. These days, the best home security system is a wireless home security camera. Installing your own wireless surveillance system is an excellent DIY home security solution. It’s pretty simple to install and provides a lot of functionality for a small price. Wireless home surveillance cameras make the job of installation a breeze since you don’t need to worry about running an ethernet cable or other data connection cable to the device. You just need to plug it into a wall outlet. That causes some confusion since people rightly assume the wireless designation means “completely wireless”. 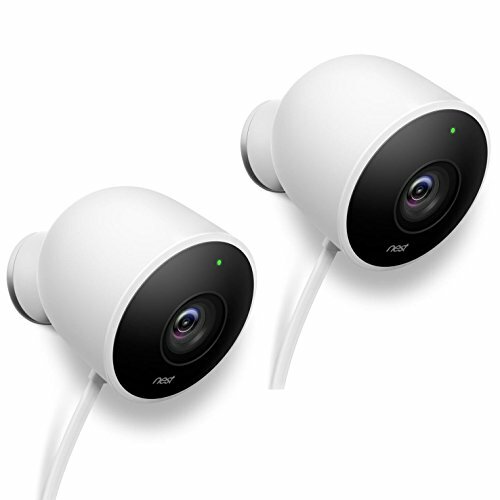 Completely wireless home security camera systems are available such as the Netgear Arlo Pro 2. The Arlo Pro 2 includes a rechargeable battery that can run for up to 6 months under ideal conditions. The downside to truly wireless is that you’ll have to recharge your cameras at some point. Although you can work around this with a dedicated solar panel to keep the battery in your camera charged. Even if you don’t get the most ideal sun exposure, a solar panel can greatly extend the timespan between needing to recharge your cameras batteries. You can supplement with more traditional home security devices such as window and door sensors and traditional motion sensors but that’s largely unnecessary since most good wireless surveillance systems offer motion detection at a minimum and many offer person detection as well. The best wireless home security camera in this review is the Netgear Arlo Pro 2. It has the best free cloud storage option, a massive rechargeable battery, and the ability to store video locally instead of using the cloud if you prefer. 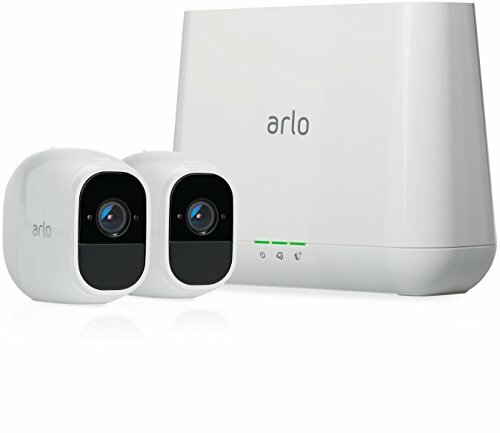 Ultimately your needs will dictate if this is the best solution for your particular situation but all things being equal the Arlo Pro 2 is the current leader of the pack.